Return flights Prague-Milan from just €22! 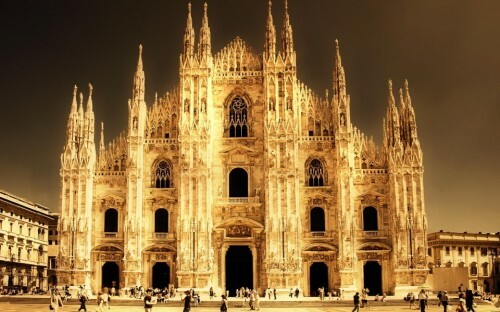 You can now visit popular Milan in the north of Italy for price lower than local bus ticket. Return flights on route Prague – Milan are available for 558 CZK which is around €22! This price is valid on couple of dates in October and beginning of November which is still good time to do some shopping or visit beautiful Duomo in Milan. To reach this low price, you must be member of Wizzair’s Wizz Discount Club which costs 29€ per year and gives you and up to 10 friends 10€ or more discount per each flight. This is really good investment if you travel at least two times per year with Wizzair. This flight will take you to Milan Bergamo from where you can take bus to city center of Milan for just €9 per return ticket. … and many more for slightly higher price! If you have time, you can spend a night in Bergamo as well which is nice small town with some nice views and historical monuments. « Ho Chi Minh City in Vietnam in main season for €424!